Rereading this for one of my Shakespeare groups here at GR. Definitely not one of the Bard's best efforts. It has its moments - Talbot's and his son's scene before they both die in battle or the back and forth in the garden between York and Somerset - but there's not much here (certainly not compared to other plays). 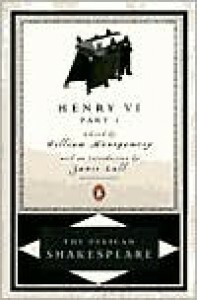 As a lead in to 2 and 3 Henry VI and the masterpiece Richard III, 1 Henry VI is a good introduction.